Up! 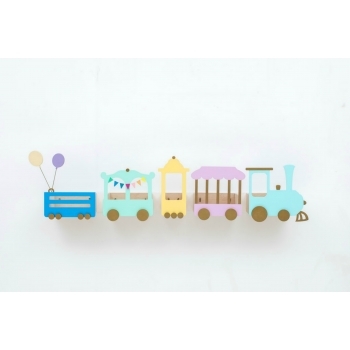 Warsaw is a lovely little family business, a little workshop that creates ecological, non-toxic furniture and products that bring your kid’s rooms to life: the shelves are heavenly, way-out and high-flown – clouds, planes, hot air balloons and circus trains with playful added value. 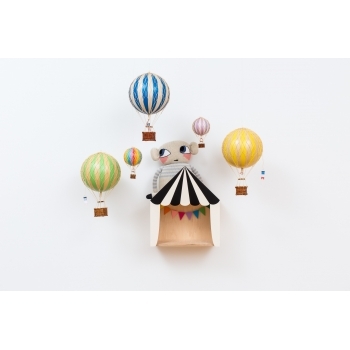 Their products are not just something for the wall, every piece has something movable: with the biplane shelf you can turn the propeller, with the TV shelf you can move the telescopes up and down, on the cloud shelf the drops are waving, and with the circus shelf you can turn the little flag in the direction you want. And all of it is not only something for the eye – also something for the soul: every parent is happy, when his kid likes to tidy up. 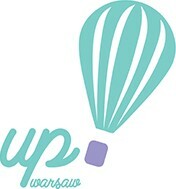 Up! 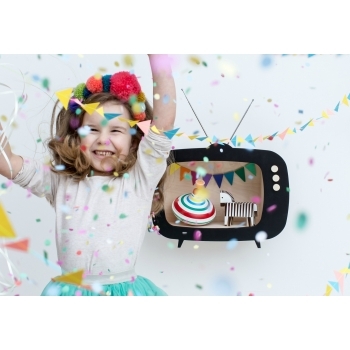 Warsaw works with materials that are appropriate for kids: they swear by wood! 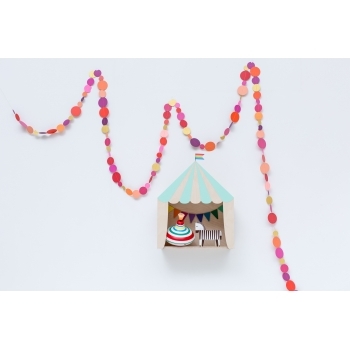 Everything is handmade and their products are covered with ecological, non-toxic water based colours. 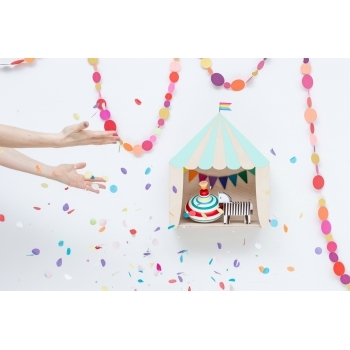 And we love their motto: playing, design and function connected turns into fantasy and adventure for the kids! 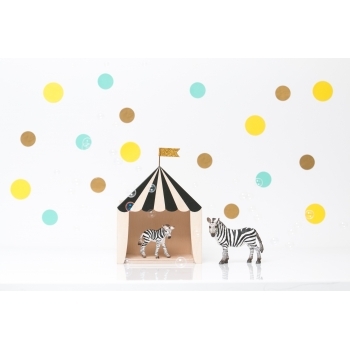 This wonderful circus shelf in black & white is not only for elephants, giraffes, beloved teddies and other artists, but most of all it creates magic on the walls of your kids’ rooms. This arena is a place for all the pets and wild animals, clowns, puppets and everybody who can do a nice trick. 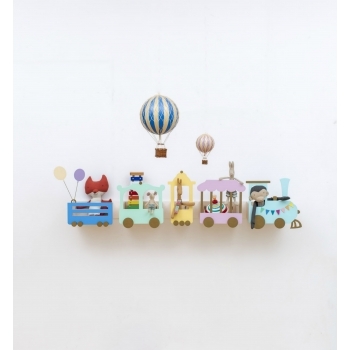 This wonderful circus shelf in mint green is not only for elephants, giraffes, beloved teddies and other artists, but most of all it creates magic on the walls of your kids’ rooms. This arena is a place for all the pets and wild animals, clowns, puppets and everybody who can do a nice trick. 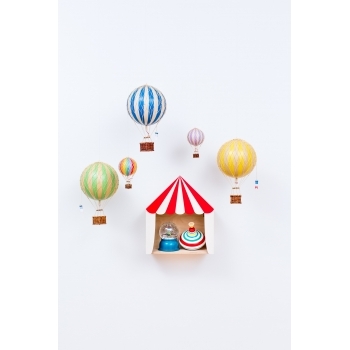 This wonderful circus shelf in red and white is not only for elephants, giraffes, beloved teddies and other artists, but most of all it creates magic on the walls of your kids’ rooms. This arena is a place for all the pets and wild animals, clowns, puppets and everybody who can do a nice trick. 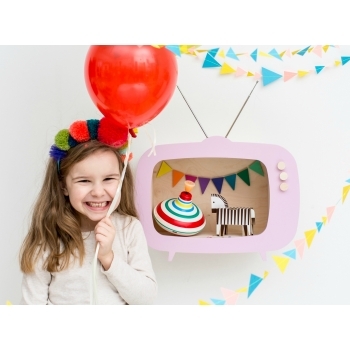 This wonderful circus shadow box is such a wonderful decorative piece. 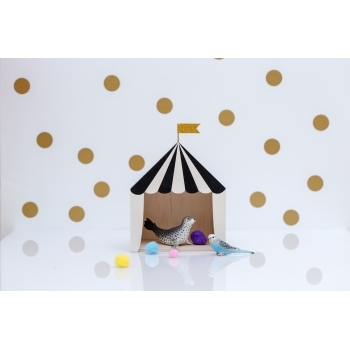 The smaller version of the circus shelf in in black & white is perfect for showing your kid’s favourite toys, smaller blankies or hiding all the treasures. 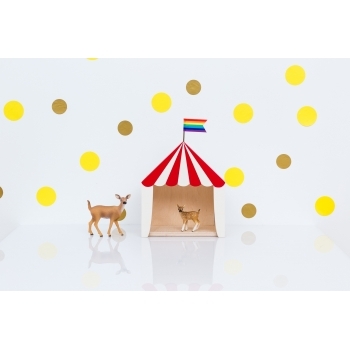 An arena for all the pets and wild animals, clowns, and puppets. 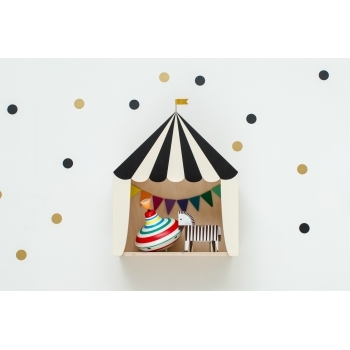 This wonderful circus shadow box is such a wonderful decorative piece. 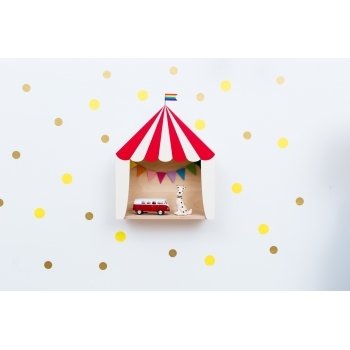 The smaller version of the circus shelf in in red & white is perfect for showing your kid’s favourite toys, smaller blankies or hiding all the treasures. 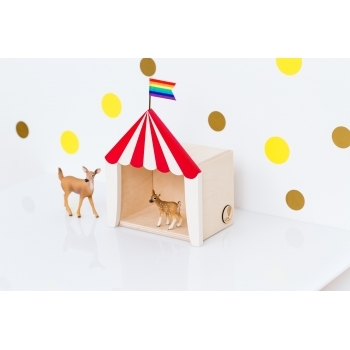 An arena for all the pets and wild animals, clowns, and puppets. 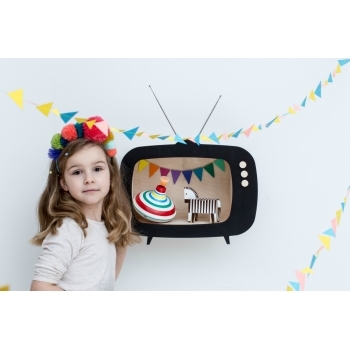 The ‚Teevee’ shelf in black is the perfect place to present all of your kid’s favourite toys, teddies and dolls. Self-made pictures can also be displayed here. Little gatherers can present their figures perfectly to the whole world. And of course the moving antenna gives a sharp signal. 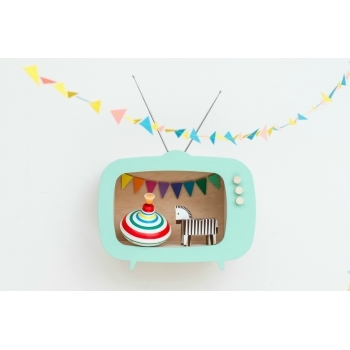 The ‚Teevee’ shelf in mint green is the perfect place to present all of your kid’s favourite toys, teddies and dolls. Self-made pictures can also be displayed here. 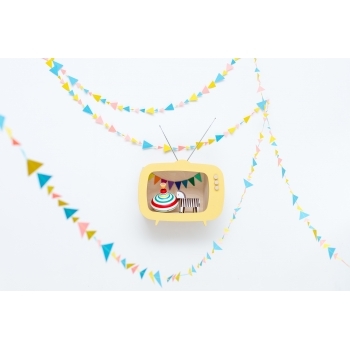 Little gatherers can present their figures perfectly to the whole world. And of course the moving antenna gives a sharp signal. 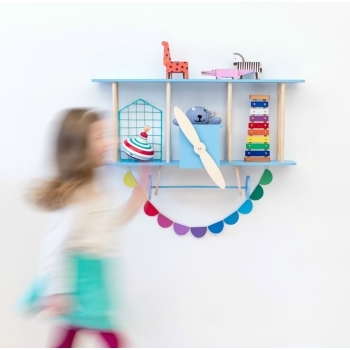 The ‚Teevee’ shelf in pink is the perfect place to present all of your kid’s favourite toys, teddies and dolls. Self-made pictures can also be displayed here. 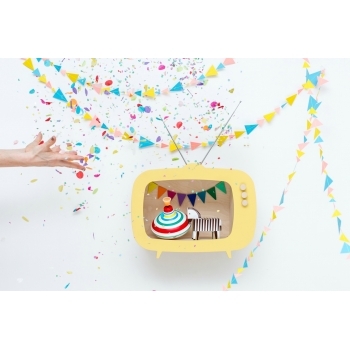 Little gatherers can present their figures perfectly to the whole world. And of course the moving antenna gives a sharp signal. 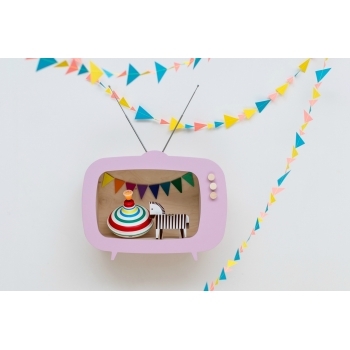 The ‚Teevee’ shelf in yellow is the perfect place to present all of your kid’s favourite toys, teddies and dolls. Self-made pictures can also be displayed here. Little gatherers can present their figures perfectly to the whole world. And of course the moving antenna gives a sharp signal.